Victoria Falls Town, situated along the Zambezi River, next to the mighty Victoria Falls, or Mosi-oa-Tunya aka ‘The Smoke that Thunders’ - superlatives abound – offers a plethora of activities to keep even the most ardent adventurer entertained. Take your pick from helicopter flights, river-rafting (seasonal), bungee-jumping, fishing, river cruises, hiking and canoeing. As the largest national park in Zimbabwe (and the third largest in Africa), Hwange National Park, is an obvious go-to for nature lovers. The birthplace of Cecil the Lion, its dry season provides the highest density of elephants in Africa, whilst its mammal diversity is considered amongst the highest in the world so if elephants are a favourite, this is the place to see them. This area is also good for Sable antelope and Eland which are a fairly rare species to see. Hwange’s southern region has the Ngamo Plains which is a magnificent open area home to an array of animals and bird species. The world’s largest man-made reservoir, the vast waters of Lake Kariba are home to the fierce tiger fish, renowned among avid anglers, while herds of wildlife wander its shores. We'll be adding our portfolio of lodges to this page shortly, to include Bomani Tented Camp, Camelthorn Lodge, Jozibanini and Nehimba in Hwange National Park as well as Gorges Lodge, Llala Lodge and Zambezi Sands in Victoral Falls. 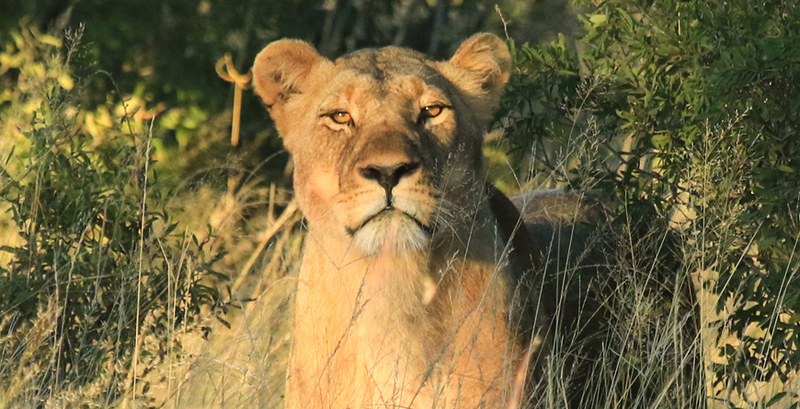 In the meantime, if you'd like more information about itineraries and the lodges we work with please call Amy on 0845 124 4455 - having just returned from Zimbabwe she is a fountain of knowledge and will help you put together the perfect safari trip. Zimbabwe has two main seasons; the wet season and the dry season. It’s worth bearing in mind that they reflect the volume of flow of the Zambezi River, rather than the quantity of rain. April to October is considered the best time to visit, with warm, sunny days and cold, clear nights. Mana Pools, a World Heritage National Park, famous for walking safaris opens in April, just when the days are starting to feel fresher and brighter. You can expect everywhere to be lush and green following the end of the seasonal rains. Victoria Falls are at their most dramatic from April through to August as the river fills with rainfall from Angola and Zambia. The cloud of spray can be seen high above the gorge. 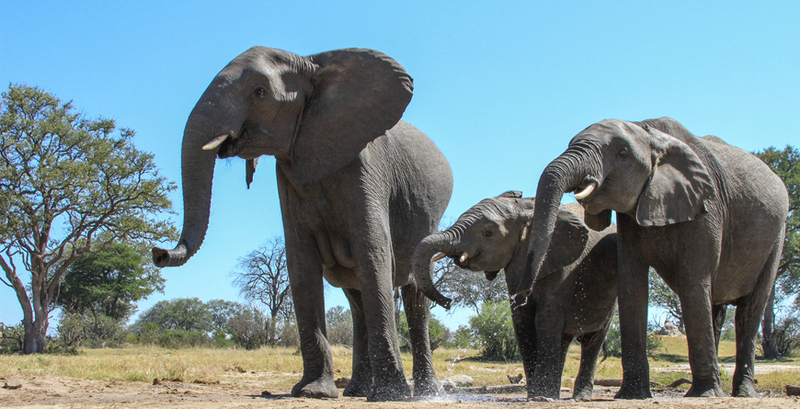 Wildlife returns to pumped waterholes in Hwange from June, making it the perfect time for wildlife viewing although expect the weather to start turning colder at night as winter sets in – extra layers are essential for bush walks and safaris. July – August is holiday season so the parks are at their busiest, especially with prime wildlife-viewing, optimal white-water rafting and canoeing on the Zambezi at this time of year. Even though the camps are likely to be full, the majority are on private concessions so you still get exclusivity and it feels quiet. September sees the annual game count in Hwange National Park when you can join the park rangers as they stake out the waterholes. By October temperatures are rising into the late 30°Cs and early 40°Cs. Wildlife sightings are also at their peak as the dry season ends. The rainy season, from November to March is beautiful, with generally sporadic rain and dramatic afternoon electrical storms although this time of year can be very hot and humid and some camps do close. From September to January, water levels drop at Victoria Falls and the formation of the gorge can be seen as the powerful flow slows down by approx. 90%. Towards the end of the rainy season look out for the famous spray rainbows at Vic Falls. Flights: Fly with Kenya Airways via Nairobi to Victoria Falls (10 hours), or you can travel via Johannesburg with South African Airways, British Airways or Virgin and then up to Victoria Falls (around 12.5 hours). 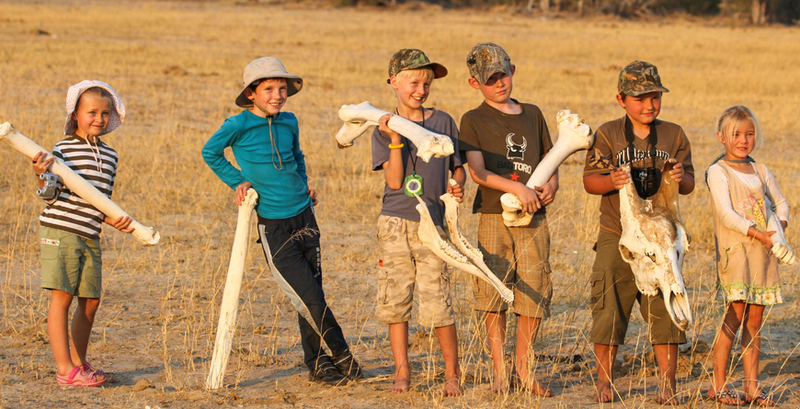 This thrilling 10 day/ 9 night family safari offers captivating elpehant encounters at Nehimba Lodge before moving on to game-rich Hwange National Park where you can enjoy riding safaris, walking-safaris, game-drives and hide-viewing. Your safari extravaganza continues with a journey on the renowned Elephant Express to Victoria Falls - one of the world\'s seven natural wonders. This family programme is all about sparking curiosity, learning as a family and leaving you with incredible memories to look back on.